You, yes you, are a badass. The whole world can say this to you, but if you don’t believe it, it can be hard to act like one. Should you be a badass? Well, it depends on your meaning of badass. Badass is a term that has been co-opted by those who used to enjoy petty vandalism, perhaps those who swore at the teacher. But no, that’s not what a real badass is. A real badass is a nurse helping those on the ward feel more comfortable in the face of terminal disease. A real badass is a student struggling to juggle all their affairs of financial, educational and social development but doing so anyway. A badass is someone reading these words, hoping to develop themselves despite their personal struggles. Yes, that’s right, we mean you. You deserve for the world to know who you are. Not by shouting it at them, but simply wearing it like a badge of honor. Then, your badass deeds will shine for you and help you feel proud of the person you’ve become. The first step is to feel no shame as to who you are. This is why we respect eccentric people deep down, because we know they’ve trusted their weirdness, and often live more comfortably because of it. Stating your name proudly might be as simple as feeling self-confident. It might be wearing custom jewelry such as my name necklace, ensuring everyone knows who you are. It could be you let your actions precede you for the better, ensuring people associate your name with good deeds and charm. Self-respect is the first step to feeling comfortable in your skin, so wear your name with pride and you could be straight on your way. It’s cool to care. We might not have all been taught this by our peers in high school (and this can sometimes have a lasting impression,) but remember, caring is for the really cool kids. To care means taking a personal risk for someone else. It means dedicating yourself to something truly meaningful. It means finding that which sustains you. Caring is cool. Perhaps adding a little to your life could be more than worthwhile. 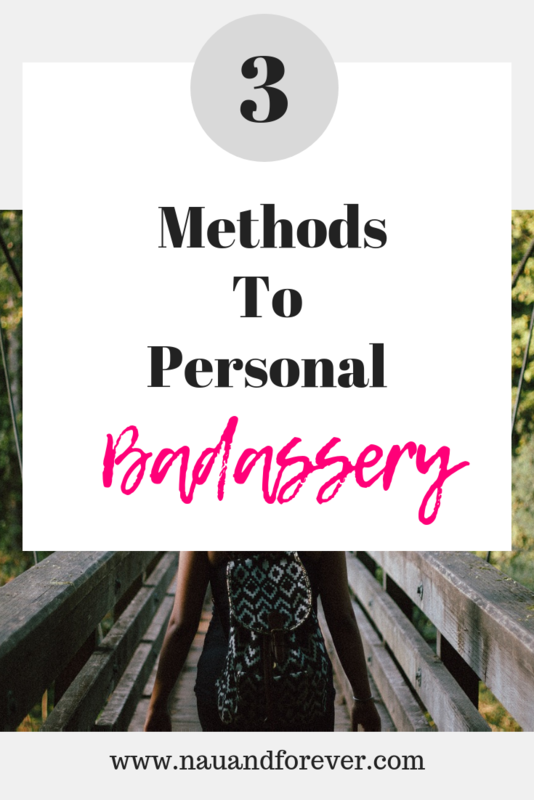 With these simple badassery tips, you are sure to build confidence, self-care, and empathy for others. Be a badass and stand for what you believe in. Need some inspiration? Check out these badass women! Speaking of self-care? Have you gotten your FREE self-care ebook yet? Get your gift from me here!